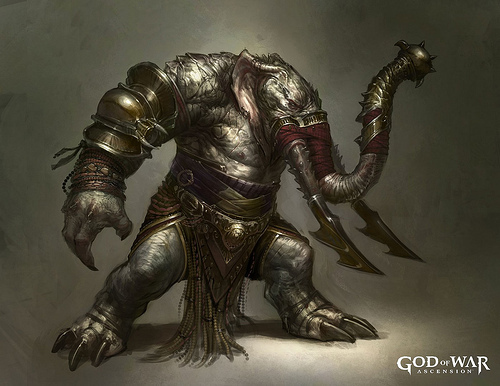 Throughout the God of War series, players have killed many a Minotaur. 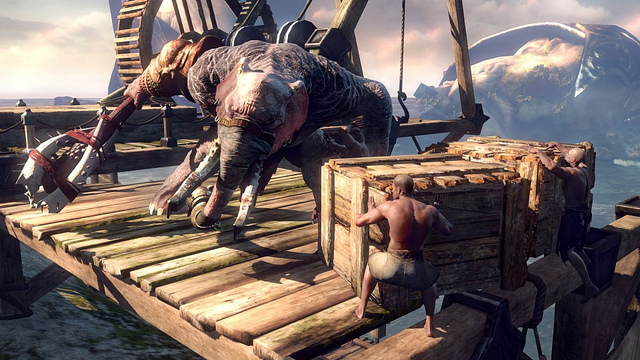 For God of War: Ascension, Sony wants to throw a different heavy at you. Behold, the Elephantaur. "The Minotaur in the last God of War game was a savage beast. We toyed with some versions where the creature was armored up, and a bit more intelligent, but something really primal won out on that one," said SCE Santa Monica's Izzy Medrano. "I feel that the Elephantaur is the perfect marriage of brutality with homicidal intellect. I felt he should have weapons and armor that were deadly but also a little elegant. 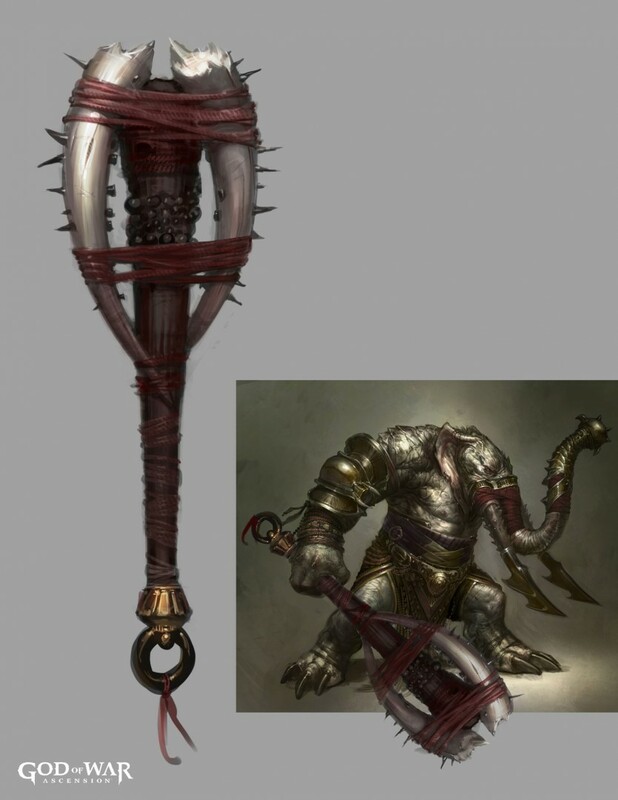 His tusks have long nasty blades attached to them, and he grips a deadly elephant-style cestus with his trunk." 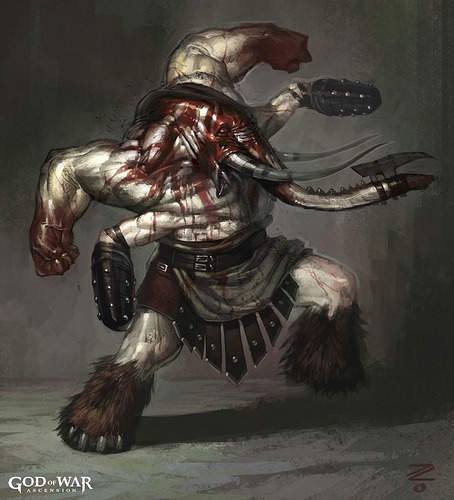 The intent, Medrano says, is to make the Elephantaur look like a "heavy martial artist." He's not just this mindless beast that uses brute strength to win in battle; he's a skilled warrior. That's not to say he doesn't have brute strength, though. He wields an enormous club built from the tusks of dead foes. The Elephantaur, if you're wondering, doesn't actually exist in Greek mythology. That might rankle some fans but let's face it: fidelity to established Greek mythology has never been a strong priority for GoW. These games take myths and drive a sword through their belly (sometimes literally). If anything, I'm happy they're expanding their horizons a smidge. 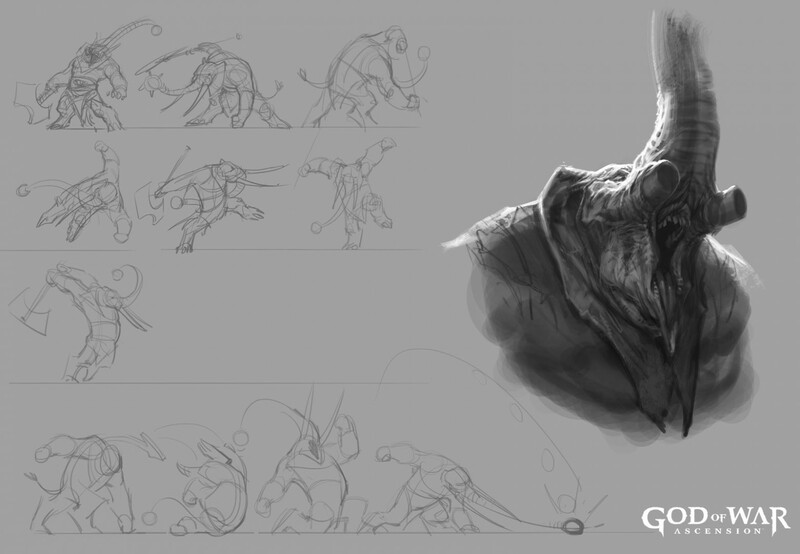 Concept art and a screenshot of the elephant-man are below.